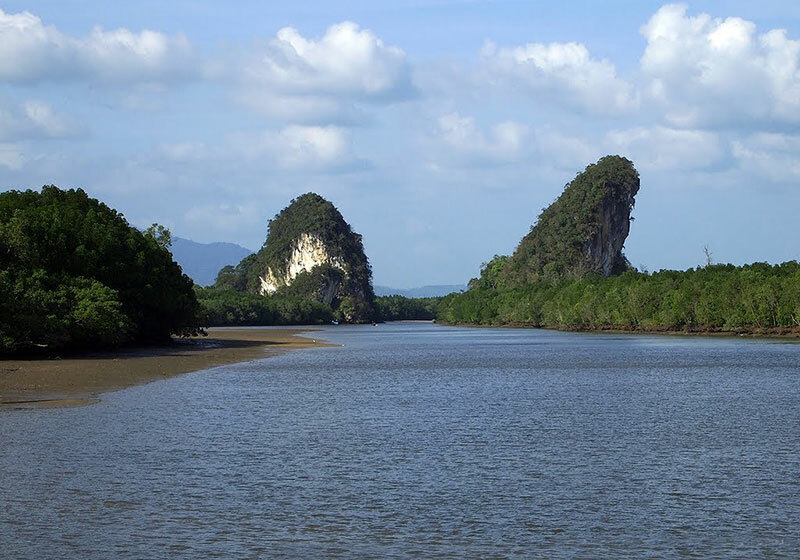 Regarded as the symbol of Krabi, Khao Khanap Nam are two mountains that are roughly 100 meters tall sit on both banks of Maenam Krabi River at the entrance to Krabi City. 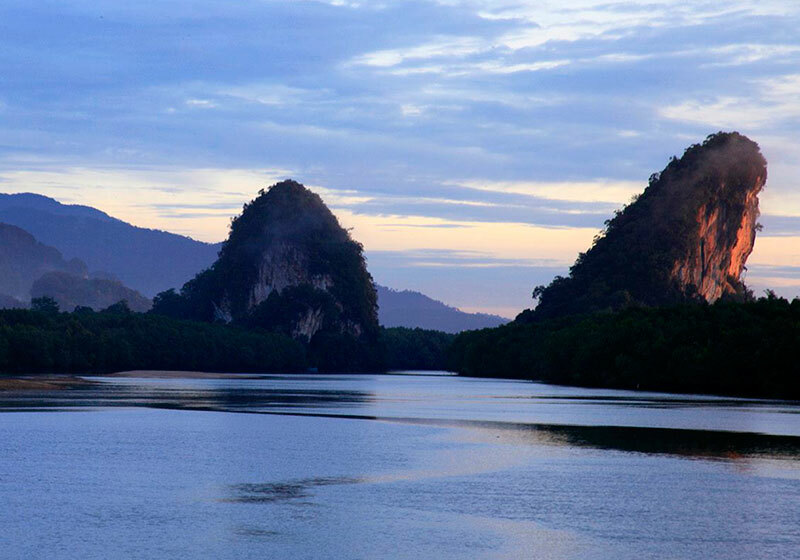 Prepare to be mesmerized by its amazing caves, adorned with stalactites and stalagmites. In addition to natural attractions, a large number of human skeletons have been found here and, as theory has it, there were people settling down in the area but were unfortunately cut off by a flood and finally vanished. 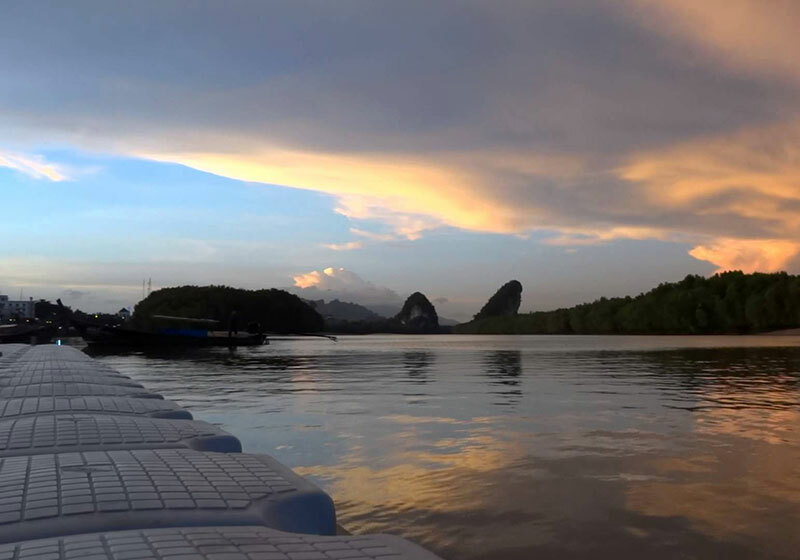 For further trekking to Khao Khanap Nam, mangrove forests and Klang island, a fisherman village, a boat is available for rent 300 THB per trip. 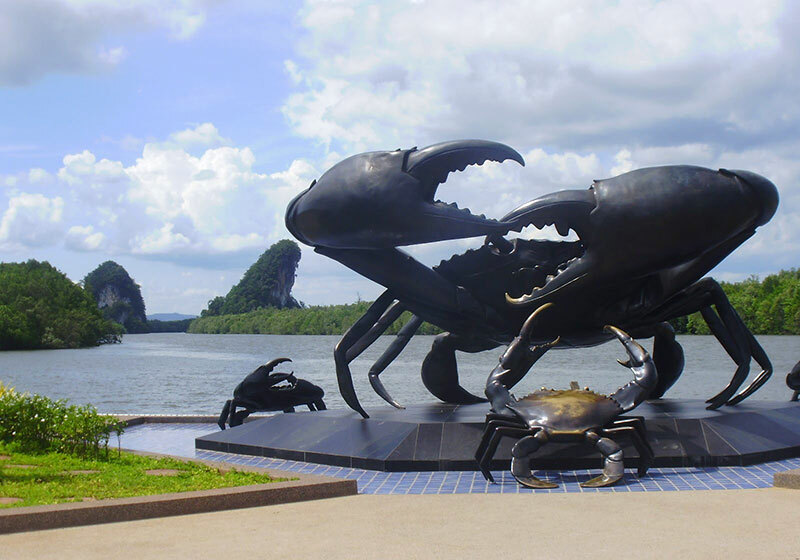 Short Description: Khao Khanap Nam is tourist attractions, which is one of the symbols of krabi city. 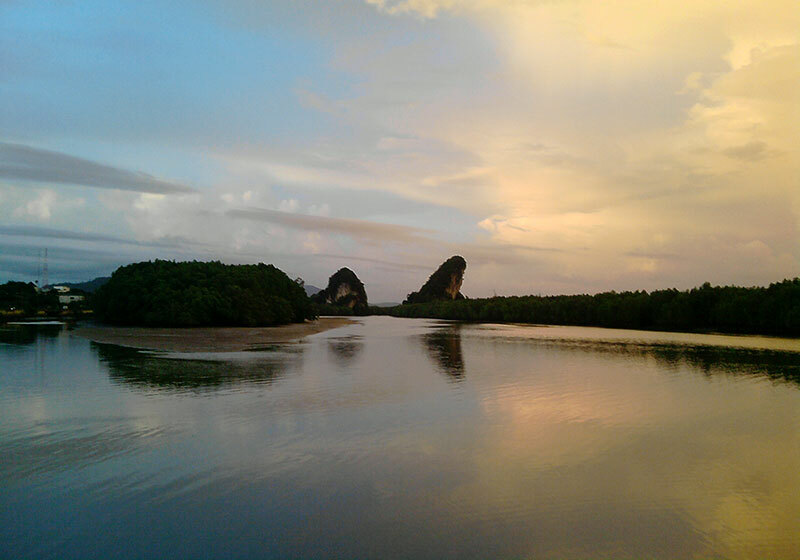 Caused by Krabi's Twin Mountains standing brace on Krabi River in front of city. At Khao Khanap Nam tourist can traveling by rent Long-tailed Boat, which is Local fishing boat at Jao Fa Pier It take 15 minutes.